I absolutely need music when I run on the treadmill or on trails. My old high school track coach would be deeply disappointed that I am not concentrating on breathing, pace, and foot strikes. As a 30+ year old adult, I can't imagine running recreationally with out my iPhone playing my favorite playlist and the Nike running app running in the background. Music is my distraction, my escape from the actual run. Music keeps me motivated and helps me run faster and farther. Although, I love listening to music on my daily run nothing frustrates me more than being tethered to my phone. The standard Apple earbuds are crap. Whenever I work up a sweat they simply fall out of my ears mid-stride. I have dropped my phone countless times while on the treadmill. I waste so much time tinkering around with cables and getting adjusted/comfortable. Sometimes I have dedicated more time to untangling my headphones than actually running. I solved my problem by purchasing the JBL Synchros Reflect. This wireless bluetooth sport earbud costs $89. Personally, I love this product. 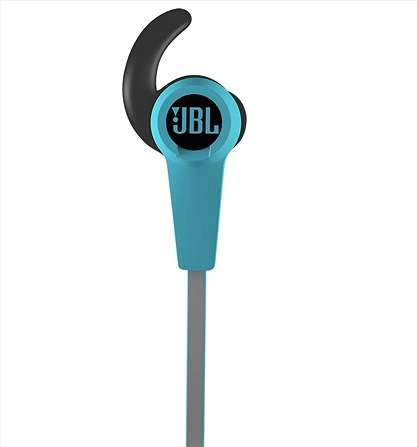 The earbuds sound surprisingly good even for a Bluetooth device and they are super portable. Originally, I thought I would use them for running only, but I use them for other cardio workouts. The only drawback that I have noticed after using the earbuds for over the course of a few weeks is that phone calls via the headphones aren't great. On several occasions the person on the other end has difficulty understanding what I am saying. The internal rechargeable battery gives you up to 5hrs of battery life. This device allows you to stream up to 40 feet away. 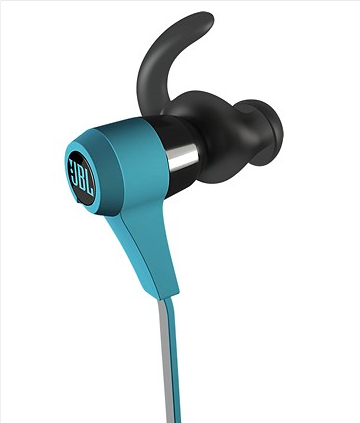 Overall, these headphones offer the best value and are best in class. Lots of things can slow you down when you're working out, but your music shouldn't be one of them.